Ikue Mori fans should brace themselves for a surprise on this record: she's decided to make a beat-oriented record, one which takes surprisingly straight-laced drum machine rhythms as its starting point. There's still plenty of evidence of that signature Mori sound, overflowing with detailed, electroacoustic processes, but it all takes place within a loose framework of Downtown electronics. The granular trickle of sound particles during 'Walking Sticks' and 'Rusty Millipede' mark a return to the kind of abstract designs that have made Mori's music so compelling over the years, fizzing over with intricate textures and strange DSP contortions, but it's not long before we're back to the more conventional 4/4 material that characterises the bulk of this album, and you can't help but occasionally feel it's a bit of a step backwards and that everything you hear would be far more interesting without the drums. Mori's in top form during the late stages of 'Tropical Riodinid' (sounding a little like Autechre) and 'Anthromorphic Weevil' (which isn't all that far away from Matmos' approach to beat sculpting). 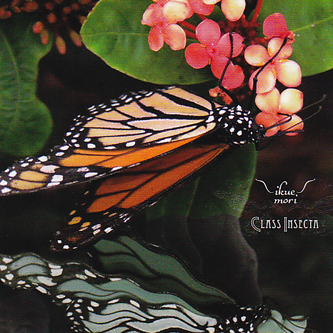 A bit of a shock to the system at first then, but Class Insecta is another commanding piece of electronica from an artist whose work is always worth checking out.